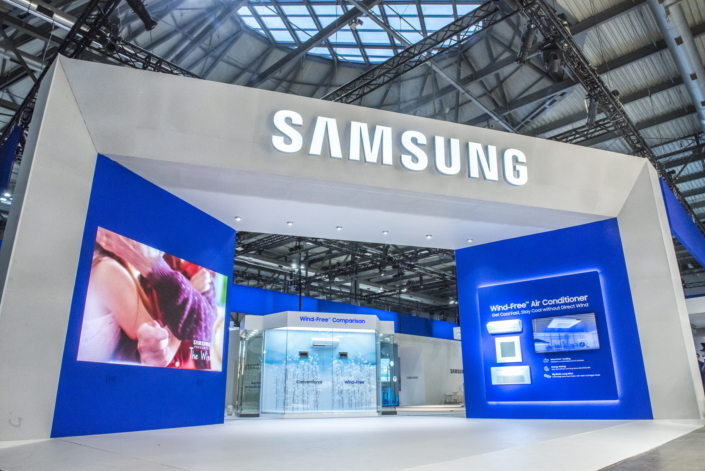 Samsung Electronics, today unveils plans to leverage its industry-leading air conditioning solutions at Mostra Convego Expocomfort 2018 (MCE) in Milan, Italy from March 13 to 16 to strengthen its position in the European HVAC (heating, ventilation and air conditioning) market. The biennially-held MCE is the largest HVAC exhibition in the world, drawing over 2,000 exhibitors and 160,000 visitors from around the world to showcase the latest industry technologies. At the expo, Samsung plans on continuing to promote its revolutionary and unique Wind-Free™ technology in Europe and will exhibit the full lineup of Wind-Free™ air conditioner units for both residential and commercial use, including the 1-Way and 4-Way units. The Wind-Free™ technology is one of the most outstanding innovations featured. After reaching the desired temperature with Fast Cooling mode, it then maintains the ideal temperature without any direct wind by gently dispersing cool and still air through micro air holes for a natural cooling effect through Wind-Free™ technology. Samsung is also introducing both residential and commercial air conditioners that contain R32, an environmentally-friendly refrigerant alternative, to keep in line with the strengthened environmental regulations in Europe. When compared with the standard R410A refrigerant, R32 has only one-third of its global warming potential (GWP) and is characterized by its high-efficiency even in lower quantities. Samsung is also displaying customized air conditioning solutions for specific environments at the exhibit by dividing the booth into specific zones: Residence, Office Building, Hotel, and Retail. Various B2B customers will have the chance to see the b.IoT server, Samsung’s unique integrated building management solution, as well as a SmartThings-based smart home that demonstrate Samsung’s vision of connected living. Samsung also showcased a variety of air conditioning products such as the energy-efficient 360 Cassette, the circular air conditioner that provides even cooling with minimized direct wind. In addition, the small-capacity DVM S Eco HR, which can simultaneously operate cooling and heating in homes or small commercial spaces, will also be on display. At the Samsung booth, visitors will be able to test the Wind-Free™ technology firsthand in the Wind-Free experience zone.